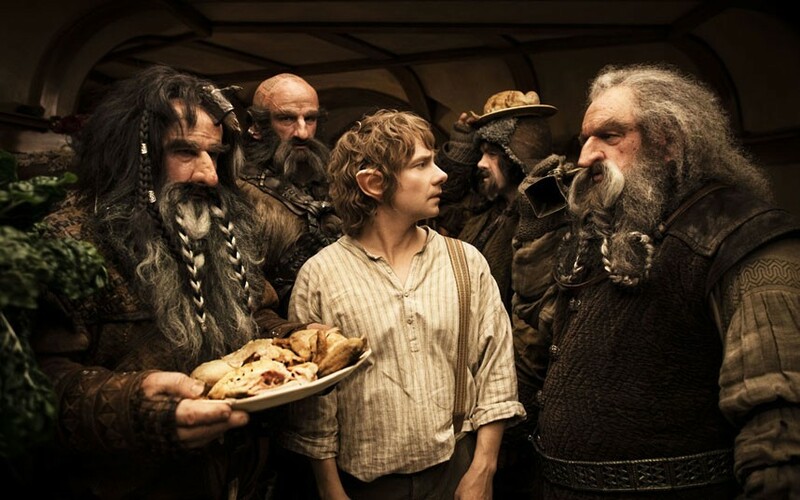 I saw Peter Jackson's The Hobbit: An Unexpected Journey last night. (We saw it in "IMAX" -- I'm not sure what people think that adds to the movie-watching experience, but...there it is.) I thought the movie was wonderful. I know. I'm supposed to be disappointed that it wasn't exactly like the book. That's how we lit. nerds and those "fan-boys" are supposed to, as my brother-in-law recently pointed out in conversation, assert our ownership of the material. It is also very (nauseatingly) fashionable to be hard on "prequels" or follow-ups to beloved movies. George Lucas knows this all too well. Well, I was not disappointed that the movie was different than the book. Jackson and his team did what they needed to do. Remember, please, that this is a statement made by a guy who credits Tolkien and his work with changing his life. Tolkien's works set me on a path I walk until this day. Some "changes" were clearly not really changes to anyone who has delved into Tolkien's work. In fact, Jackson pointed it out in one interview: they used material from the appendices of The Lord of the Rings to add elements to the plot. 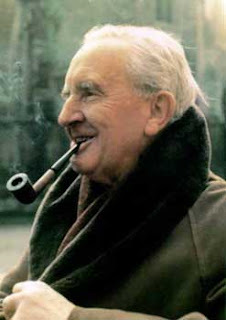 Almost everything in the film was written by Tolkien, even if it does not appear in The Hobbit. Not all -- almost all is from Tolkien. The rest? It worked. I won't go through all of the deviations I saw from Tolkien's work, but a few examples show good decision-making by Jackson and his team. stuck up in the trees and surrounded by orcs and wargs (and, in this case, Azog -- a vengeful orc dropped into the plot from elsewhere in Tolkien to add dramatic tension: he's after Thorin and Thorin hates Azog. Watch the film to see why...) In the book, Tolkien introduces a mildly annoying deus ex machina: Gwahir and his giant eagles come, from out of nowhere, to rescue them, just as the orc-lit fires below begin to lick at the feet of our heroes. I'll just say that Jackson's version of the scene is a vast story-telling improvement. Very dramatic and entirely conducive to theme-development. And that is okay. I can still love Tolkien without disparaging those who recognize his flaws. The Hobbit is not the Bible. And while Tolkien is certainly the god of fantacists, he is certainly not The Almighty. He is as flawed as anyone. 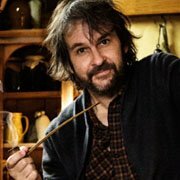 I heard someone complaining, as well, about the "addition" of Bilbo's explanation of his reason for having decided to go on the journey, after all. In the text, written for children, it is good enough that, after a visit from Gandalf, Bilbo, after some thinking about it, decides to go on his journey. No real reason given. The key is to get the fun started. Kids are cool with that. But it you are making a film for grown-ups, you need to offer more (sadly). In the film, Bilbo explains that he decided to stick with the dwarves because he misses his own home very much, but he realized that the dwarves are homeless -- they are trying to reclaim theirs. He wants to help them to know his comfort of the hearth, if he can. This is not a violation of the text, oh lovers of knee-jerk hating, out there; it is called "interpretation." It is a damned good one, in my book. In fact, I buy it completely as a motivation for a journey whose motivation I have questioned in my own mind since the age of fifteen. On other levels, the performances were excellent, as expected, and Martin Freeman -- who I already love as John Watson in Sherlock -- is nothing less than perfect for the Bilbo I know from the page. One of Jackson's most challenging tasks was tone. The Hobbit was once done by Rankin and Bass (of Christmas-special fame) in quite a whimsical version. The dwarves were goofy. Everyone was cute. Tolkien hated that sort of depiction. (He couldn't stand Disney dwarfs. He wanted all creatures of myth to have dignity.) Jackson did a fine job of maintaining the whimsicality and, at the same time, keeping us aware of the deep-running river of often harrowing history that surges below all lands and times of Middle-earth. It was a heck of a feat, on his part, and it was my biggest concern going into the film. One critic said the film felt "stretched" (like butter over too much bread?) -- as if Jackson was just trying to cash in on another trilogy that did not need to be a trilogy. Ah, no. Just no. At least, not if you truly know Tolkien. My singular complaint about the film was the bit with the Eagles: not that they were a silly deus ex machina, but that in both LotR and The Hobbit, no one even tries to explain them to the viewer. I mean, they're the messengers of Manwë, right? That's a big deal. They're ancient and wise, sort of angelic even. And they TALK, at least in the books. And yet I'm pretty sure no one on the screen even mentions them. They get carried hundreds of miles by the legendary Eagles, and their first thought upon landing is "OMG look it's Erebor!" So... yeah, my complaint is basically that the Eagles were reduced from actual characters to just really big unexplained birds. Sorry for venting all over your blog. (Really though, I too dug the movie. I think they presented the slightly more innocent period in Middle-earth perfectly. I've already seen it twice and probably will again). You couldn't be more right on that point. It woudl have added great dimension just for Gwahir to utter a word or two -- at the least! I suppose Jackson had to make choices -- the Manwe piece is, as you say, huge, but I'm not sure how he would have worked it into the on-screen narrative. Always great to hear from a true Tolkien fan. I will see it again, too -- planning to try it in all formats. Jackson's movies are easy to criticize, but I think they succeed for a couple of reasons: First, he does a good job of mimicking the weird, alien complexity and depth of actual history, often better than filmmakers with real historical subjects do. Second, Jackson strikes a tone, sometimes, that's lofty and literally epic, and if he fails to hit the mark consistently, his movies still do so more often than nearly all other mass entertainment. I agree on every point, Jeff. I have to say that I am a little surprised you're not more of a Tolkien nerd, considering your field or interest. So much cool medievalism runs through the veins of all of his work. Oh, I like him quite a bit, and I loved teaching "The Hobbit" a few years ago, and I even contributed one small entry to the Tolkien Encyclopedia, but I read Tolkien's books at such a young age that I didn't quite understand them fully, so I've never been a stickler for minutiae. The fact that Jackson's movies capture a certain pseudo-medieval tone and sense of place make me sufficiently happy that I dare not ask for more! In the end, I have never been a Tolkien trivia guy, either, but I did once participate in a book club that read The Silmarillion -- something I never succeeded on reading on my own. It wound up being pretty cool and it deepened my appreciation for LotR. I also once did a paper as an undergraduate on Anglo Saxon English in LotR. A lot of fun. I reread the trilogy every few years and find myself always surprised at how much I still enjoy it. That's a good point, Gina. I can see viewers coming away with a real desire to read the book -- and to go further into depth of study.